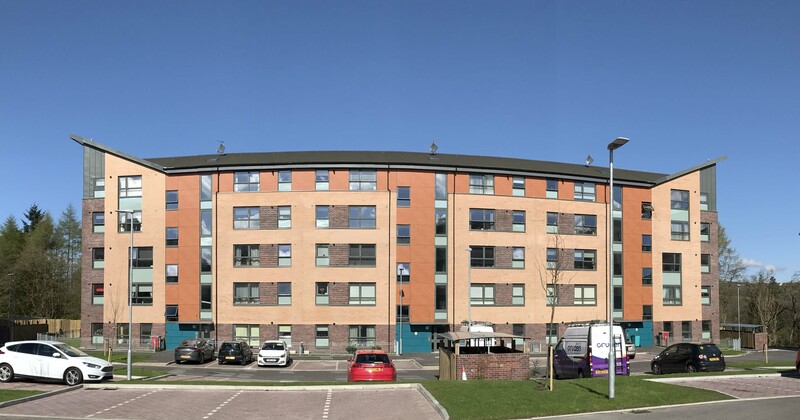 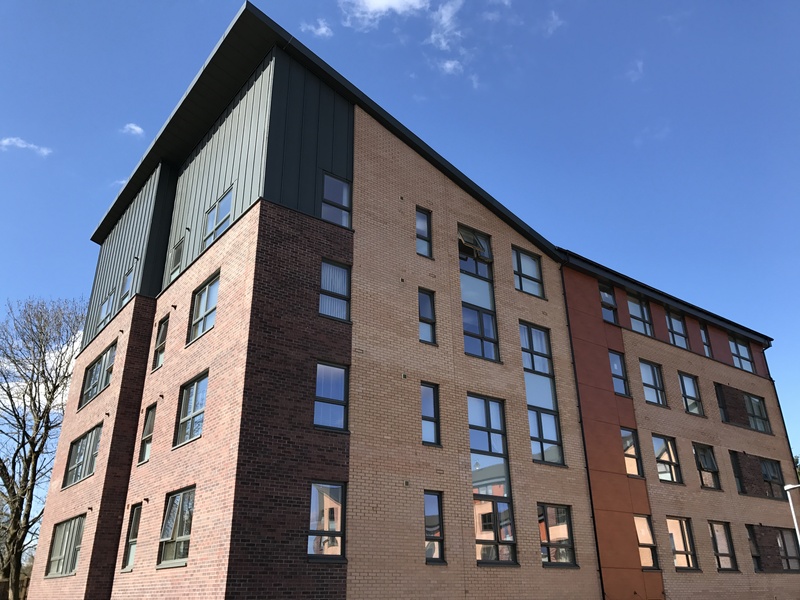 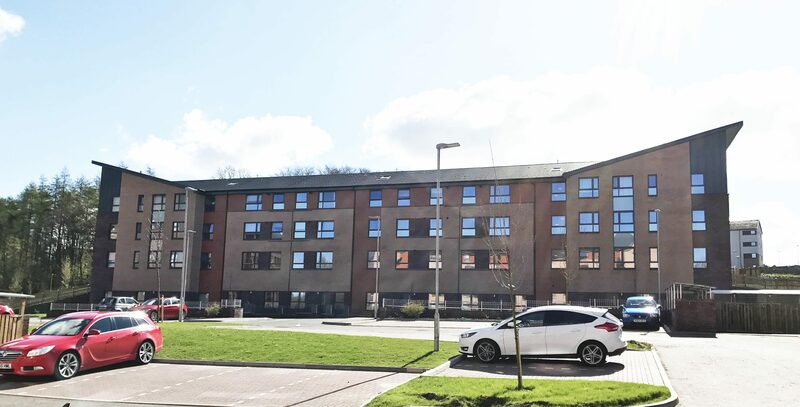 Delivered for Sanctuary Cumbernauld in conjunction with Cruden, the development was completed over 2 phases, replacing previous high-rise blocks with 121 flatted units and maisonettes over 6 blocks between 3 and 5 storeys in height. 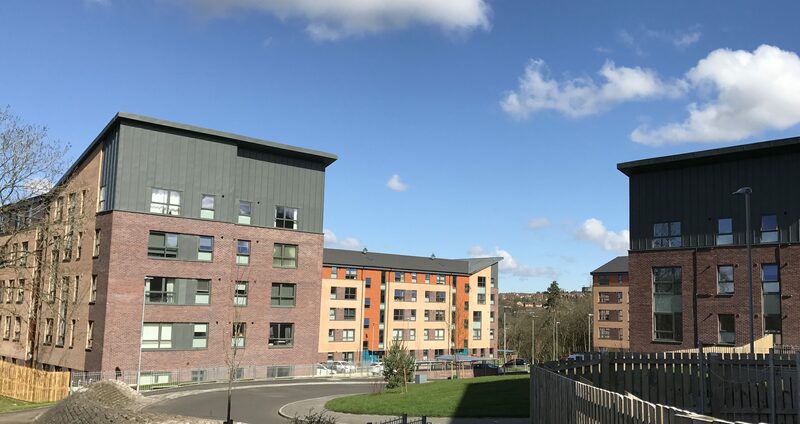 The development retains large landscaped areas and compliments them with new private amenity spaces to the front and rear of the flatted blocks providing a mix of usable hardstanding for residents’ use, car parking and footpaths, and also soft landscaping to soften the hard building lines and inject colour and life into the streetscape. 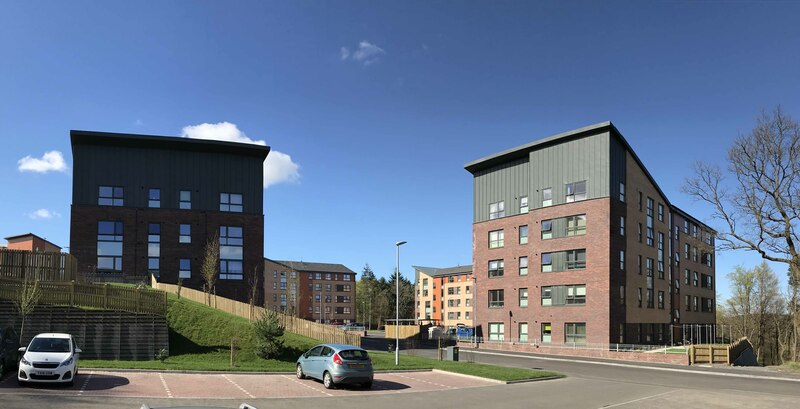 Materials were chosen to provide a degree of continuity with the surrounding housing and Cumbernauld aesthetic, while still offering a different visual appearance and built form. 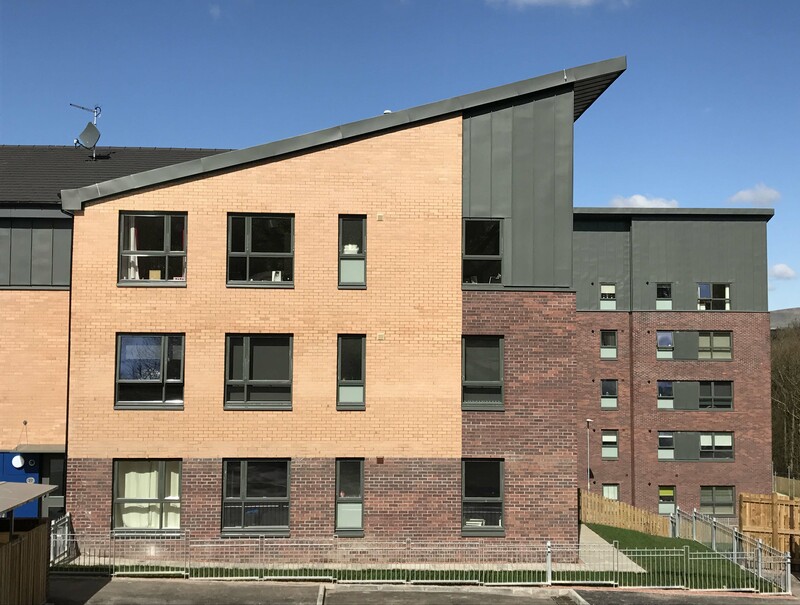 The main facades comprise robust high quality facing brick, contrasted with areas of zinc and cladding panels to retain a material connection with the adjacent housing.